I am thrilled with the new Spring/Summer 2013 collection from Holla Knits. Particularly with the Nachtfalter top by the incomparable Stephanie Pollmeier which was knit up using our own Bottoms Up in Caipirinha. This looks so fun to knit. Darling mini-cables for the ribbing at the bottom and then a lace pattern that is beautiful and interesting without being too fussy. And the straight-forward construction means that I will actually be able to knit this in time to wear it this season. I will be trying it out in the Bottoms Up Cosmopolitan colorway, a soft light red, but I think it would also look fabulous in our new Blue Hawaiian or Pina Colada as well. 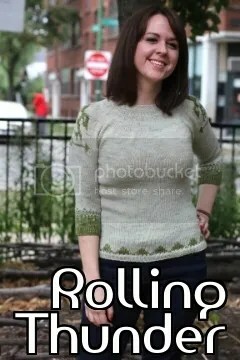 I have really enjoyed providing yarn support to Holla Knits. 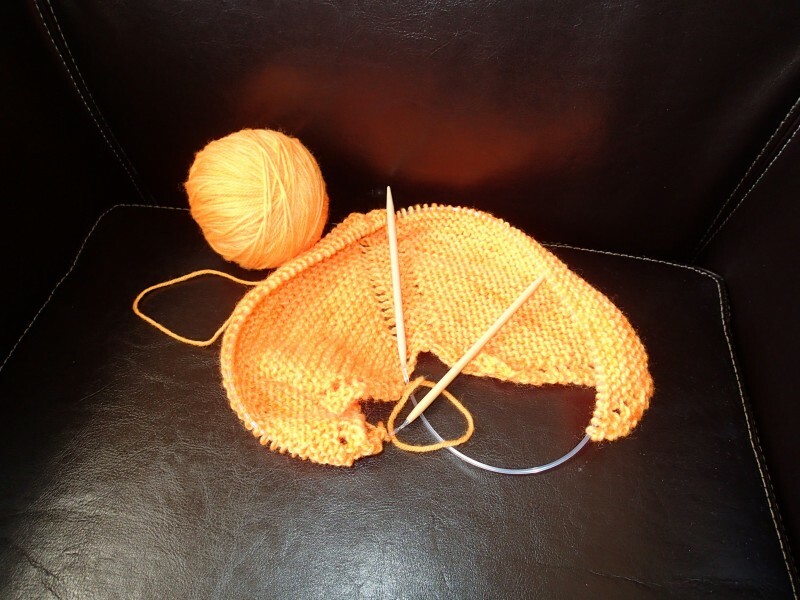 It is such a joy to see this gorgeous yarn being used for an amazing new pattern. In celebration of this great collection, for the month of May, we are offering FREE shipping for any orders of Bottoms Up from our Etsy Store. Please use the coupon code hollaspr13ship. Introducing the latest colorway to the Bottoms Up line this spring… Blue Hawaiian. 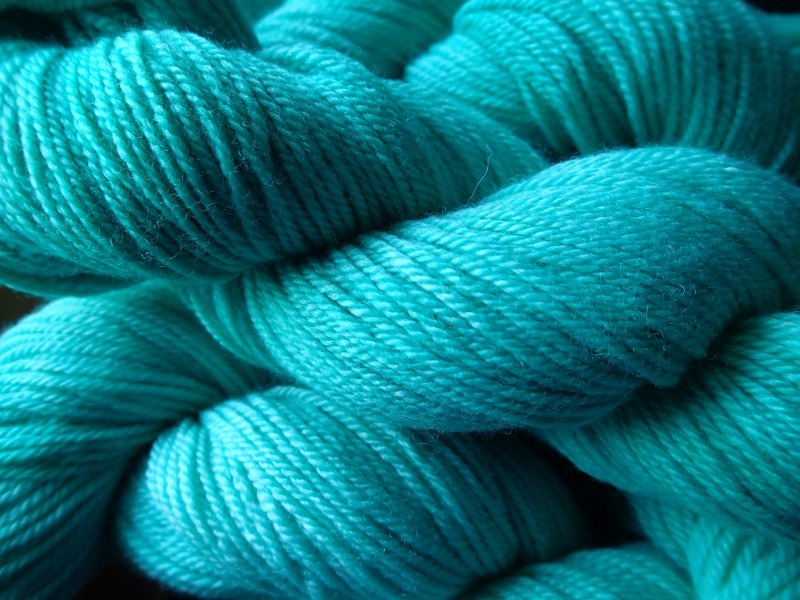 This is an oceany teal blue that brings to mind tropical beaches and drinks with umbrellas in them. And in honor of the new color, here is a recipe for your own Blue Hawaiian drink. This drink can be blended with ice or mixed in a shaker with ice and strained. Garnish with a slice of pineapple. The Holla Knits Spring 2013 collection is about to launch! Looking forward to seeing all the new designs. And I am especially excited to learn more about the darling lacy top that was knitted up with the masi|knits Bottoms Up in Caipirinha. Check out the previews on their blog. And look for the lime green yarn! 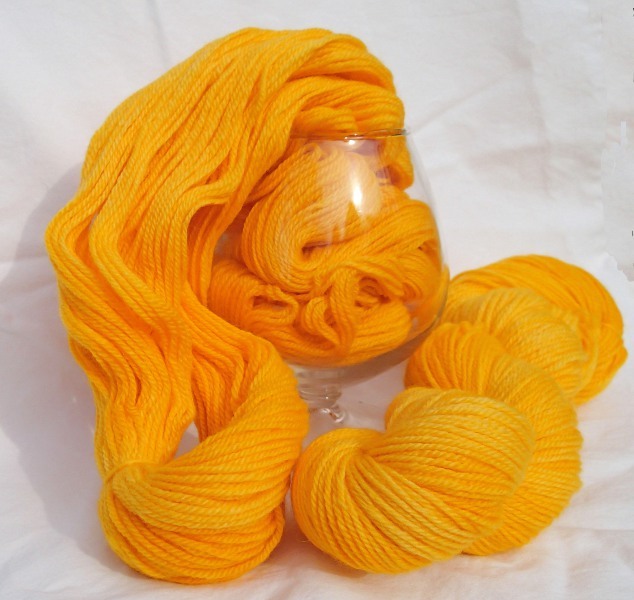 I am loving this bright tangerine color – “Screwdriver” – from our Bottoms Up line. This simple garter stitch shawl is still a WIP, but I love how it is coming together. Speaking of Vogue Knitting, I am really excited to try this sheer top in Bottoms Up as well. I will use Sober (white) for the Main color, just trying to decide what the contrast color will be… maybe Cosmopolitan (red)? The Spring/Summer 2013 issue of Vogue Knitting has some adorable collars by Louisa Harding that I think would be awesome with either our sport weight Bottoms Up or our Superwash DK. Looking forward to casting on this week to see how they work with our yarns. See the full set here (must have a Ravelry account to view link).